It hasn’t happened yet – but it will do – next week. Jupiter and Uranus come together in Aries – for the first time in over 80 years – in perfect formation on Tuesday, 8 June 2010, at high noon. Is this important you ask? Yes it is. Jupiter attunes us to the bigger picture (I mean the globally bigger picture) while Uranus ensures that picture will be no less than revolutionary. The last time these two planets came together was in 1997 (in Aquarius the sign of technological revolution) and the Internet was born. Dramatic stuff, yes? With Jupiter and Uranus you’d expect nothing less. At the very least there will be a serious expansion of global consciousness – the next big evolutionary leap. BTW, I should add that historically, when Jupiter and Uranus come together there have been sudden global catastrophes such as typhoons and earthquakes – and we can’t rule out a globalised (perhaps religiously inspired) war – but we don’t want to go there – do we? Don’t expect everything to happen at once. After all, the Internet didn’t happen in just one day or even one week. But on Tuesday next, the seed is planted and after that the way forward becomes more and more clear. What might we expect to see? 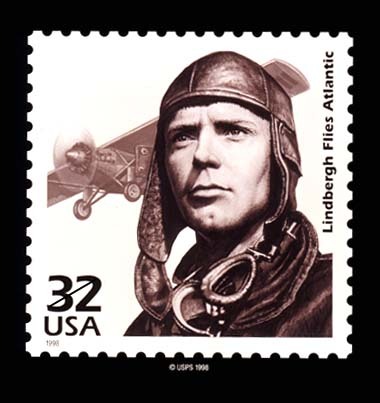 Well, the last time these two formed a conjunction in Aries was in the late spring of 1927, when Charles Lindbergh won world fame by flying his plane non-stop/solo from NY to Paris. This kicked off a new world of international travel, the costs and benefits of which we still enjoy today. Aries is the sign of pioneering heroes. Jupiter in Aries demands adventure of almost religious intensity. Uranus in Aries is adamant that the old ‘way’ of doing things is finished; the new is ready to begin and whatever form it takes, it will be as individualistic and startling as your wildest dreams. The next time they come together (except for their brief respite into Pisces from during the autumn of this year), will be in 2024 (in Taurus). Likely, there will not be another conjunction of these two in Aries in your life time.